An interesting cheapie from the Hawaiian music craze c.1920…. An interesting cheapie from the Hawaiian music craze c.1920. All birch body with decorative paint scheme, a sort of Weissenborn shape and a “resonator” in the soundhole. 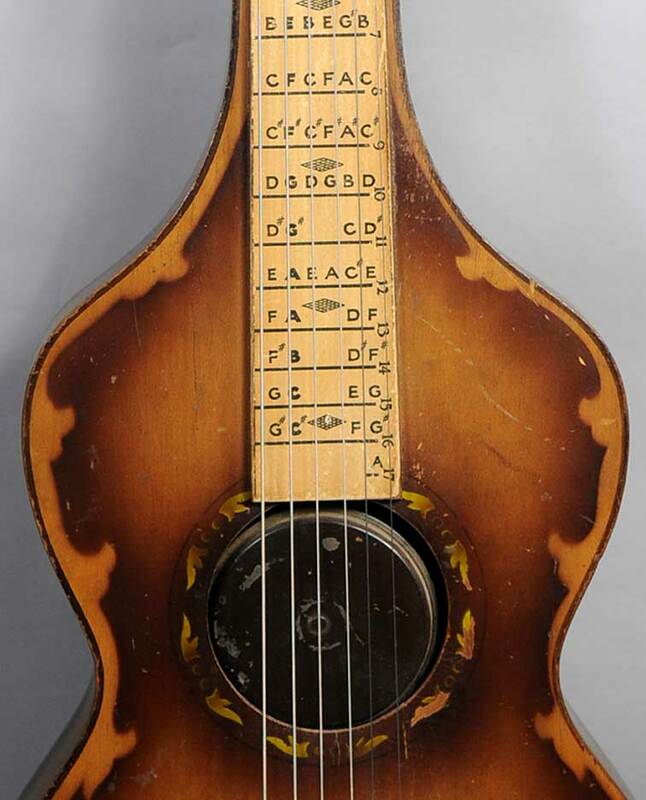 The fretboard is paper covered and printed with ALL the notes.